Our home is licensed by the West Virginia Department of Health and Human Resources, Offices of Social Services and Behavioral Health, and is an approved West Virginia Medicaid provider. 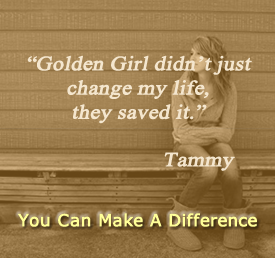 Golden Girl Group Home is a member of the West Virginia Child Care Association and an associate member of the Child Welfare League of America. 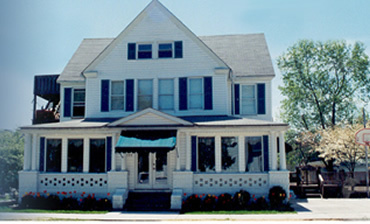 Golden Girl Group Home is licensed to serve 24 girls from ages 12 to 21. Our home specializes in working with dependent, neglected and pre-delinquent girls who are not able to make a successful adjustment in their natural homes or foster care homes. We strive to help your girls overcome their past and grow toward a bright future through educational, recreational, treatment and support services in a warm, loving, and therapeutic environment. We continue at our original location in the small town of Ceredo, WV. We are located close to schools, recreational facilities, cultural events and medical services. In accordance with the Civil Rights Act of 1964, Golden Girl Group Home does not discriminate on the basis of race, color or national origin. For more information about these protections or to file a complaint, contact Renee Harrison, Executive Director, at [email protected] or at 304.453.1401.